"...learning to build and nourish our souls through loving repetition - through being humble and brave enough to begin again, again, again." I always thought that failure was failure. It was to be avoided at all costs. That if I was going to fail then why bother trying. So I stuck too safe. I stuck to only things that I knew I was good at. As for the rest of those what if things I might like, I steered clear, as I wasn't willing to look foolish to myself, but more importantly to the people around me. Leeana Tankersley's book, Begin Again, is all about what the quote above says. Humbling ourselves to begin again, no matter how many times that may take. And instead of viewing the "failures" as such, that we take those opportunities to learn something. To grow closer to God and to learn to love ourselves as He does. I'm not saying 'be selfish', as that isn't how God loves us. The Lord's view of us is one of so much love and grace. He requires us only to love Him. And through loving Him and learning more about Him, we then grow to desire and understand the how's and why's of going out and treating others in this world the same way. 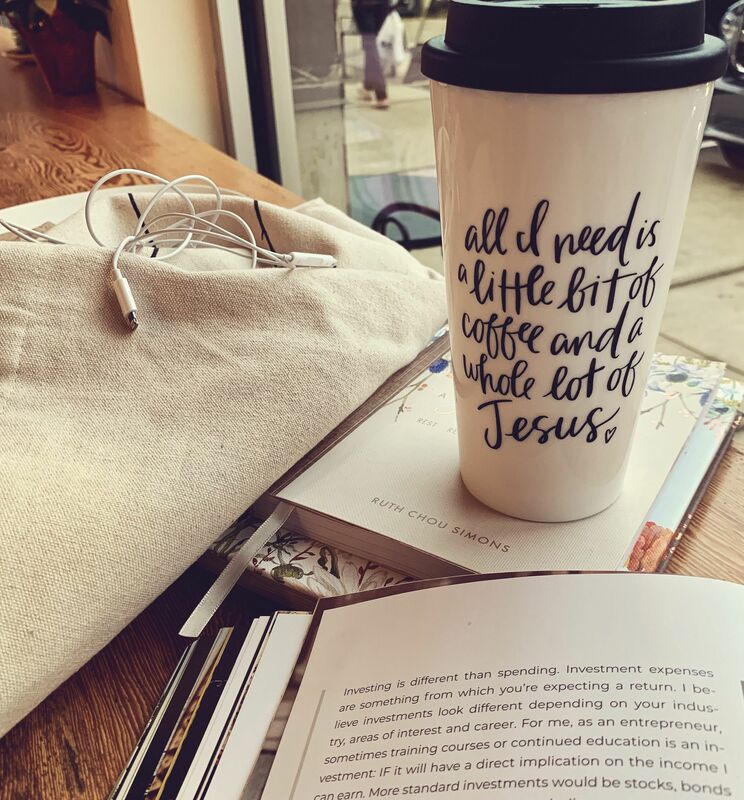 I found Begin Again has helped me continue to open up my eyes to the process and practice of working through the layers and walls I have built up around my heart that keep me from obtaining the best love, life and joy that God has waiting for me. People talk about living our best lives - without God there isn't one. And without humbling ourselves before the Lord, forgiving and being kind to ourselves, and then taking leaps of faith, we remain stuck. Obviously, Leeana's book is full of great detail in how to help you go through these steps, but I'm not here to rewrite her gifted works. I'm here to share a little of what I have been through while reading her book. Rest. Thats what I'd like to talk about. Chapter 20 of Leeana's book is entitled, Rituals of Rest, and in the world of today, we get rest very, very wrong. The concept of rest is usually blown up into the way is should look and not so much about the actual act of resting. Vacations, spas, cruises, pampering, overindulgence in junk-food, t.v. binges, etc. This all is what the world would consider to be rest-filled activity. When really it is just more doing and a whole lot of expense either on our wallets or on our bodies. Now please don't think that I am against things such as cruises, I'm not. In moderation, those things can all be amazingly fun. But they aren't the type of rest that we, generally are in need of. "Checking out" of life isn't going to help us to feel rested at the end of it all. I've come back from lovely vacations, feeling very much like I needed a vacation after my vacation! I have woken up the morning after a late night "checking out" by bingeing on t.v. and ice cream to find myself feeling more tired and gloomy than before I'd "rested". We are all going through various seasons of life. Some harder, some happy, some downright heartbreaking. Perhaps even soul crushing. I have been there, in all of these categories. And I wanted to run away and "rest". I wanted to barricade myself away and hide from my life, my kids, my husband and all the responsibilities that come with them. But ultimately, if I do actually do that (and I have), life still goes on and I eventually have to leave the dark t.v. lit room and continue on in my life. Generally playing catch up for the next 48 hours on all the things I let slide. The thing is, that no matter where we are in our seasons, thats exactly what they are. Only seasons, generally lasting for a time. The big picture here is that we have to figure out how to move through those seasons and learn to properly rest ourselves in our every day living. Rest is such a key element to this life. God models it for us in the 7th day of creation. He didn't take a day to rest because he needed it- He's God, he never tires. He took the day to show us that rest is an important part of living this life. As humans we are not everlasting and taking care of this body that we have is a HUGE part of living the best life. So often I hear people say, "I'll rest when I'm dead", "After the kids move out", "When I retire". I don't know about you, but I'd like to have real rejuvenating rest before I retire. Before the end of the week. Perhaps even before the end of this day. Rest doesn't have to be a HUGE process, like the list I provided before of spa visits, etc. And they don't have to break the bank either! Rest isn't supposed to include more work... Why do we think that? Is it because we want the thing that we do to "rest" to be also Instagram worthy? Do we want to be able to have it as something we can one up on those around us- the ones we are supposed to be loving and sharing life with...Yeah, those ones! Honestly, people, I have been this person! I will admit it! I have been guilty and still can be of the "keeping up with the Jones" mentality. Today's world says it's all about appearance! Well guess what, I'm here to share with you, after choosing this other way, it's not. When we get down to the bigger picture. The story that God has us on this earth for, it has nothing to do with appearances. Appearances are deceiving and they make us all feel "better" or "less" than one another - for a time anyway. It is such a silly but serious problem! Rest involves us slowing down. Which is completely counter-cultural. Busy is what a "good" life supposedly looks like. But it's not how we were created. We were created to work hard - absolutely. But we were also created to live our lives. This involves rest. If we slow down and create time for the ritual of rest, we also slow down enough to appreciate this amazing life that we have right here at home. Rest doesn't have to be a BIG thing. Leeana recommends trying to "think less on the pampering and more about a practice" when it comes to rest. It takes so much practice!!! It can be 5 minutes of purposeful time in silence. 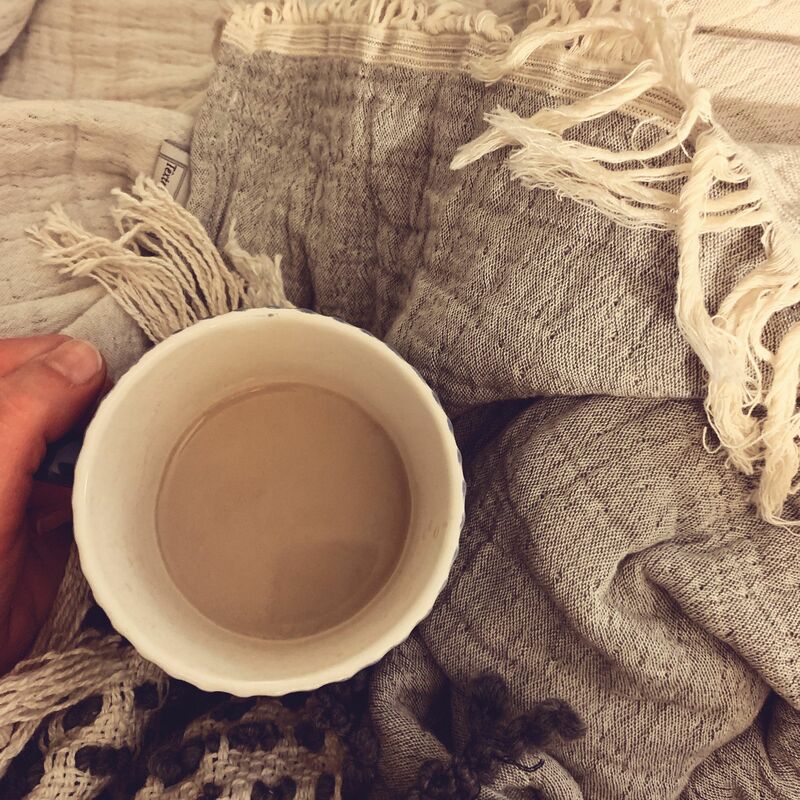 5 minutes of time where you breathe, perhaps drink a fresh cup of coffee (maybe you'll even finish it! ), journal, pray, or walk around your block. Whatever you do, you can start small. But be purposeful. It's hard! I found it really, really hard when I started this! To spend time on myself and not be scurrying around through my entire day to be the best at getting it all done. But over time of practicing these new habits, it will become a natural part of your days. Whatever you do, if this is something you decide to strive after, be grace giving with yourself. Allow yourself to do as that quote states up at the beginning of my post. If I stop no one will pick up the slack in the time that I have lost. My family will fall apart. My daughter will never be better and stay better. People around me will think I'm lazy. My husband is working full time, I need to be too. People will think I'm not very smart. Others will think I don't care about my family and our home. That list goes on, but, whether it makes sense or not, those are some of the thoughts I had spinning around it my head. Those thoughts were lies. And they kept me from moving forward and getting better sooner. I wrestled with them hard, and I still have days where I do. Leeana says, "Nurturing a healthy life rhythm is about beginning a dialogue with yourself that includes grace, compassion, and a sense of humor instead of the usual ways we deal with ourselves (i.e., contempt, frustration, and disappointment)." I needed to begin caring about myself as much as I was trying to care for my family. And especially more than the cares that I had put into what people around me thought. "Rest rituals are about determining the things you need in order to, at the very least function somewhat sanely and at best, thrive." I'm personally somewhere in between these two places. But I have a goal to thrive. I want to thrive for Jesus. For my family and for myself. I am not willing to live a life anymore being scared into the places where I am frozen by fear from beginning again.